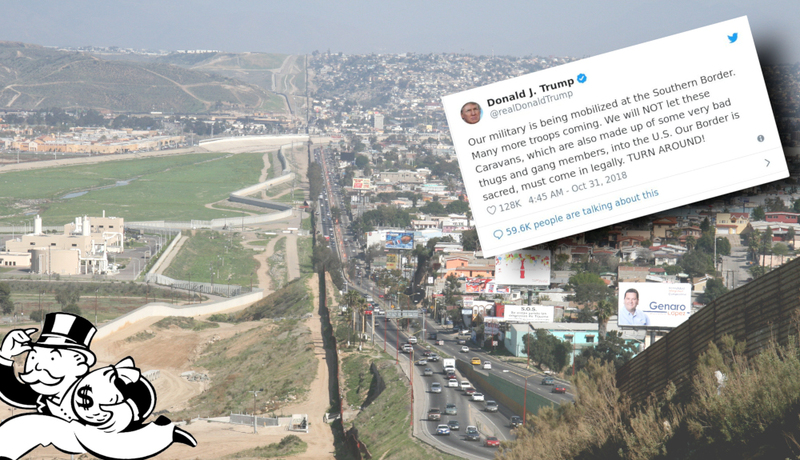 Trump's "Operation Faithful Patriot" was a $200,000,000 exercise in which 6,000 US troops were deployed within the USA, to the US/Mexico border, nominally to repel the migrant caravan of desperate, poor, terrified asylum seekers. At the time, many accused Trump of staging an election stunt to terrorize his base, part of the lies about Middle Eastern terrorists and MS13 gang-members amongst the refugee caravan. Trump supporters insisted that the president was merely fulfilling his duty to ensure the safety of America and Americans. However, Trump has now announced that the troops will be home by Christmas, right around the time the caravan is expected to arrive. The American people are $200 million poorer for it -- that's money we can ill afford, given the record-beating deficit the Trump administration is set to run, thanks to all the corporate welfare and one percenter tax-breaks he's handed out.